When a sports injury sends you to the sidelines, visit Ortho Now — orthopaedic walk-in care that saves you time and money. Our providers can assess and treat your sprains, strains and fractures. New location added in Mequon! NX Level programs help teams, groups and individuals improve speed, flexibility, strength, endurance, nutrition, body composition and awareness in any sport — under the watchful eye of a highly trained professional performance coach. 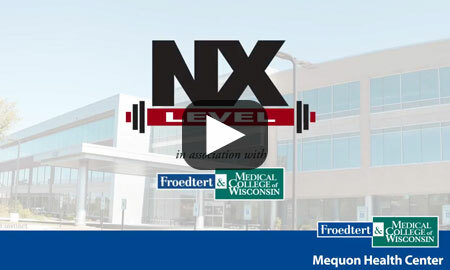 Learn more about NX Level. Our Sports Medicine Program is a leading provider of comprehensive sports-based programs to treat and prevent injury, aid recovery and enhance performance. Our experienced and dedicated health care team helps athletes in all sports not only stay at the top of their form, but also realize their full potential. Additionally, we offer specialized services and state-of-the-science equipment and treatment techniques to help athletes attain full recovery and achieve optimal performance. Professional athletes throughout Wisconsin and the United States turn to us for outstanding care, and we are proud to be the official provider for many area teams and organizations, including high schools, colleges and professional leagues. The Froedtert & MCW health network is the official health care provider for the Milwaukee Bucks. We work together on wide-ranging efforts that reach beyond the game and into the community.